Limited availability of Apple's wireless AirPort and Time Capsule base stations suggest a hardware refresh, with new rumors indicating the company will shift its wireless base station line to use iOS. 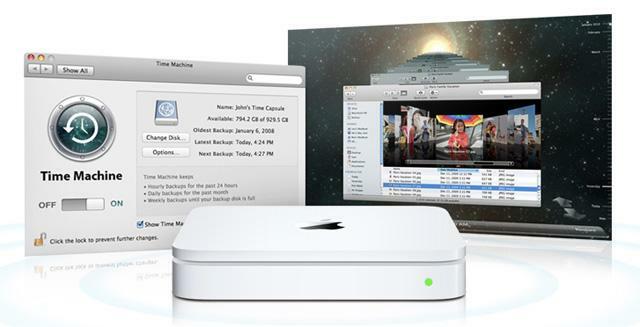 Apple's existing AirPort and Time Capsule products have for several years used embedded ARM processors built by Marvell (the original models used AMD and later PowerPC chips), but they run a unique embedded operating system. Shifting these products to use a custom build of Apple's iOS would make it easier for the company to port content streaming, sharing and other networking features between Mac OS X, iOS and its AirPort base stations. For example, Apple could bring its existing firewall, file sharing, software update service, calendar and WebDAV servers, and other existing services to AirPort products with less effort and maintain such services using a common codebase shared with Mac OS X Server, desktop Macs, and mobile iOS devices. Using a common code base and core OS could also open the potential for an AirPort App Store allowing third party developers to sell add-on functionality to AirPort products. 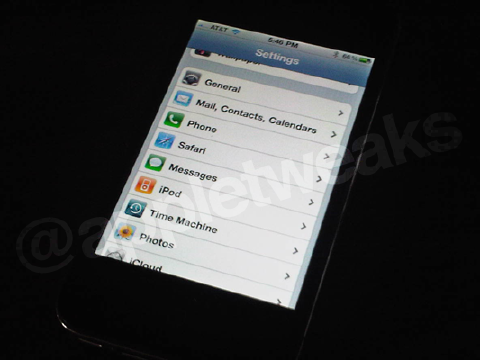 Such a move is also anticipated to enable Apple to incorporate local client support for its new iCloud services, some of which appear to already be represented in the company's existing MobileMe services. Existing Mac OS X and iOS features such as iDisk cloud storage and file sync, MobileMe Sync Services, Back to My Mac VPN secure remote access, AirPlay and AirPrint already have some support in AirPort base stations, but an iOS base station could readily support enhanced and expanded support for these types of features. Some reports have speculated that AirPort could incorporate Apple's Software Update feature of Mac OS X Server, which enables a server to download and cache available updates for local users, allowing them to obtain updates without each client needing to download its own copy of identical updates. New features anticipated for iCloud, including remote, mobile access of streaming commercial music from Apple's servers, may also be accelerated or cached by improved new AirPort base stations built using iOS. Such devices could also accelerate the relay of user content to a cloud-based digital locker service. In the opposite direction, a cloud-savvy AirPort device could also download and cache Mac and iOS App Store updates for quick local installation, and support local or even remote syncing of media or software updates for mobile iOS devices, reducing or eliminating the need for users to sync with iTunes directly. Additional rumors reported to AppleInsider suggest that Apple's AirPort team is working on wireless drivers for non-Intel CPUs, suggesting the possibility that iOS devices could directly be used to set up and configure new AirPort or Time Capsule devices without needing a Mac or Windows PC to run AirPort Utility. Last year, Apple shifted its Apple TV product from an Intel x86 CPU running a scaled down version of Mac OS X to a cheaper ARM-based device running an embedded version of iOS. That update enabled the new Apple TV to support AirPlay streaming of audio and video. A similar makeover for the portable AirPort Express could incorporate an HDMI port to provide similar audio and video streaming features. New AirPort base station devices could also incorporate support for offering guest wireless access as configured by the user, providing or segregating guest access from local file sharing, print and media streaming services.